Tens of thousands of homes and businesses in Melbourne face a bigger risk of tidal flooding by century’s end, and major roads, tram routes and industrial areas could disappear under water due to future sea level rises, new modelling shows. The updated modelling of possible sea level rises caused by climate change predicts Victoria’s coastline could be hit by sea level rises of two metres or more by 2100, due to the rapid melting of ice sheets in Antarctica and Greenland. Streets in Elwood after a flash flood in December. 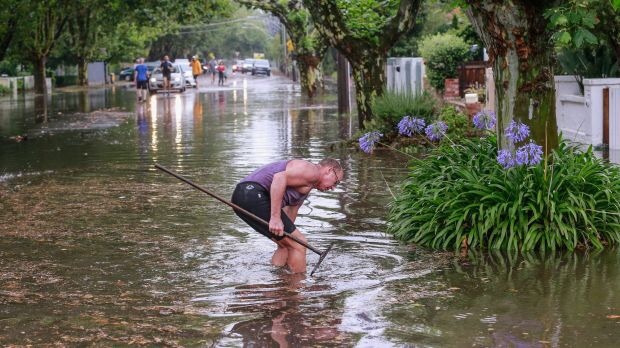 A two-metre rise would flood several low-lying suburbs in Melbourne including South Melbourne, Albert Park, Port Melbourne, Southbank, Docklands, Altona, Williamstown, Elwood, St Kilda, Seaford, Carrum, Bonbeach and Aspendale. Large areas in Geelong and the seaside towns of Barwon Heads, Queenscliff and Point Lonsdale would also be heavily inundated at high tide by century’s end, it is predicted. Sections of major roads including CityLink, Flinders Street, Wurundjeri Way, Footscray Road, Clarendon Street and Queens Parade would go under water at high tide, as would several tram routes in Melbourne’s bayside suburbs. The Mornington Peninsula Freeway near Frankston would face the same fate. Industrial areas such as the Port of Melbourne, Fishermans Bend and Coode Island would also be inundated. The modelling is based on new research by the US National Oceanic and Atmospheric Association (NOAA), which this year released updated projections for sea level rises made in the landmark 2013 report by the Intergovernmental Panel on Climate Change. 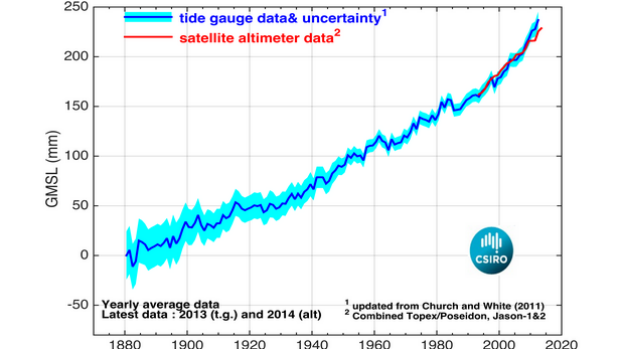 That report said a 74-centimetre sea level rise by 2100 was a worst-case scenario. 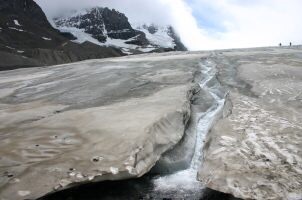 Since then, ice sheets in Antarctica and Greenland have been found to be melting more rapidly than thought and projections have been revised so that the 74cm “worst-case scenario” is considered probable, while a rise of two metres to 2.7 metres is now a “plausible worst-case global mean sea level rise scenario”, according to NOAA. The effect this would have on Australia’s coastline has been mapped by NGIS, using local tidal data and Google mapping technology to overlay a possible two-metre sea level rise on the nation’s cities, towns and beaches. Nathan Eaton is from NGIS and was co-creator of the Coastal Risk Australia website that shows the projected impacts of sea level rises in Australia. Mr Eaton said that just as the rate at which the sea level has risen has accelerated in the past few decades, much of the potential rise of two metres would occur in the latter half of this century. 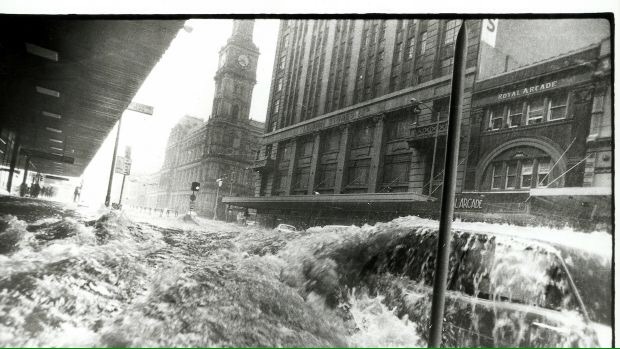 Central Melbourne is no stranger to flash flooding – this is Elizabeth Street in February, 1972. Alan Stokes, executive director of the Australian Coastal Councils Association, said the revised modelling was a wake-up call for governments. “If the sea rises to that level it would be a national disaster,” Mr Stokes said. He called on the federal government to reverse funding cuts it has made to research to support climate change adaptation. An online tool for councils called Coast Adapt faces a heavy funding cut from July 1. “Coastal councils are at the forefront of dealing with these projected impacts but they are really tackling this problem with one arm tied behind their backs because they just don’t have the resources to respond effectively,” Mr Stokes said. The global mean sea level has risen by 21 to 24 centimetres since 1880, with about eight centimetres of that rise happening since 1993. “Scientists expect that [sea levels] will continue to rise throughout the 21st century and beyond, because of global warming that has already occurred and warming that is yet to occur due to the still uncertain level of future emissions,” the NOAA report says.